The 2019 Berry Street Lecture: Truth, Trauma, and Transformation: A conversation on holding the spirits among us will be delivered by Rev. Leslie Takahashi on June 19 at 2pm PDT at the Unitarian Universalist Ministers Association's Ministry Days in Spokane WA. Ministry Days is an annual gathering of UU ministers that precedes the General Assembly of the Unitarian Universalist Association. The lecture, as well as most of the other programming during the 3-day event, will be livestreamed. Rev. Leslie Takahashi came into Unitarian Universalism as a young adult and credits the faith with saving her life. Unitarianism was her family religion on her mother’s side - and she was raised unchurched. 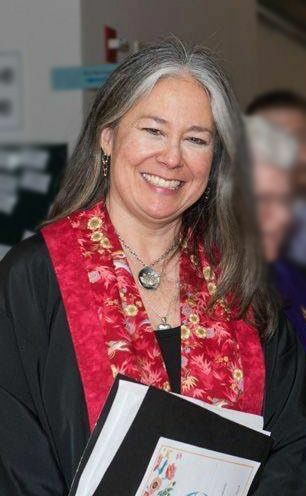 She has served in various leadership positions in the Unitarian Universalist Association, the Unitarian Universalist Ministers Association, and at the district and cluster level. She has been privileged to serve as convenor of the Accountability Panel for Justice General Assembly, as part of the planning team for the last Convo, as president of Diverse & Revolutionary UU Multicultural Ministries and as part of two on-going collegial study groups which ground her. She is the co-author, with Rev. Chip Rouch and Leon Spencer of The Arc of the Universe is Long: Race and the UUA, published by Skinner House and is a contributor to a number of UU anthologies and to Worship Web. Currently, she serves as Lead Minister of the Mt. Diablo Unitarian Universalist Church and as the Chair of the Commission on Institutional Change.